In the previous article “Mikvah- part 1 – spiritual cleansing,” we studied the Scriptures to find a foundation for what we know as immersion, baptism or going into the m ikvah, whichever term is known to you. When we study the Scriptures, we usually conclude that going into a mikvah is predominantly for reasons of ritual purity. However, when we search more, we learn that sin causes spiritual uncleanness. For this reason, we are to immerse ourselves when we come to faith. This immersion is symbolic of our cleansing and being a new creature in Y’shua. 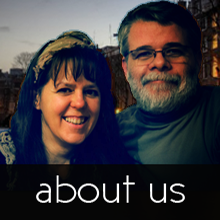 This act of immersing ourselves in faith brings us closer to YHVH. You can read more about this in the previous article. Before we go further, we just want you to understand that immersion is not what removes our sin or uncleanness. We have learned in the previous article Who the source of living water is, He cleanses us not our act of immersion. Immersion is not needed for salvation; salvation is through faith and comes before baptism. 8 For by grace you have been saved through faith; and that not of yourselves, it is the gift of Elohim; 9 not as a result of works, so that no one may boast. To give you a practical example, a person who comes to faith on their deathbed will have salvation even without baptism, because salvation is through faith. This is important to remember. Immersion should not be seen as a religious act done out of obligation, but symbolic of our cleansing and transformation. So, now that we have determined the significance of going into the mikvah, we need to know how and where to do it. The first point we would like to study here is where to immerse ourselves. Do we have to immerse ourselves in living water? Judaism is very often sited as reference of where and how we are to immerse ourselves, and we can certainly learn much from them in this regard. However, we want to focus on what the Scriptures teach us about this. Seeing that Judaism is the most used reference, we will look at what they teach and compare that with what is taught in Scripture. It is taught in Judaism that living water is required for a mikvah. Here is what is traditionally considered by them as living water. A well, a fountain and a spring are also named in these passages. We can therefor conclude that living water is running water. What about collected water? We know that cisterns were used extensively as a source of water in Biblical times. Could this also be considered living water? In Leviticus, we learn that water in a cistern is deemed clean even if the carcass of an unclean animal is found in it. Just for some clarification; the unclean animals referred to in this passage are categorized as “swarming things” and some examples listed are geckos, mice and other reptiles. 36 ‘Nevertheless a spring or a cistern collecting water shall be clean, though the one who touches their carcass shall be unclean. The Hebrew word “bor” is translated as cistern in Leviticus 11:36. 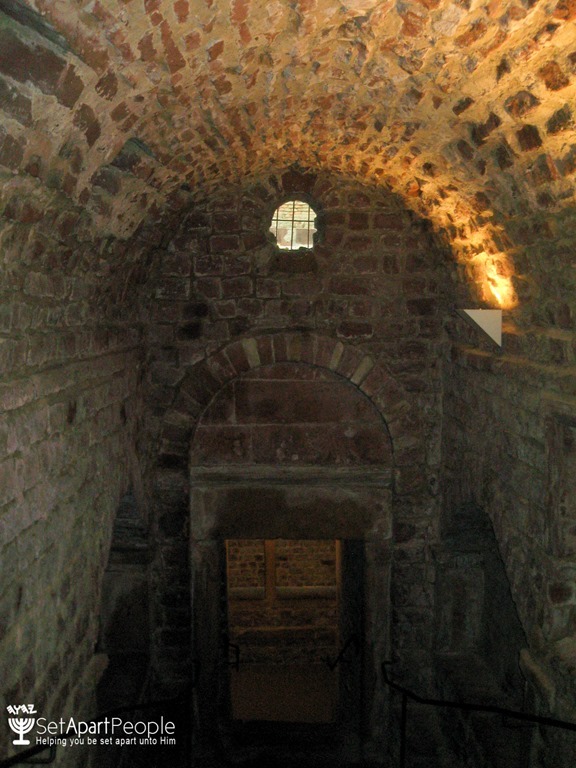 Many cisterns have been found in and around Jerusalem. Cisterns are also found at Masada, Qumran and at many other places all over Israel. Here, vast amounts of rainwater was collected in the rainy season for use in the dry periods. 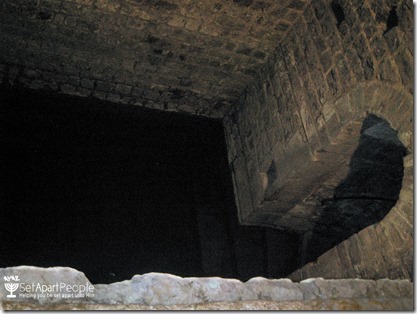 These cisterns were in many cases the source of water for the mikvah or ritual bath. 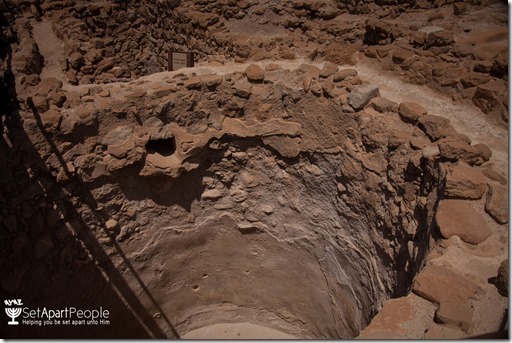 Here is a photo of a cistern at Qumran to give you an idea what it looks like. We also just learned that the water in a cistern is not defiled by the carcass of an unclean animal as in the case of an earthernware vessel (Lev 11:33). This water, would therefor be acceptable for consumption as well as for purification. To summarize, living water can be defined as both running water from a natural source, or rainwater collected in a cistern. Now that we know what living water is, we need to find reference to prove that living water is actually required for purification. In Scripture, we find six references where “chayyim mayim,” or living water is specifically required for cleansing. A few references are found in the passage about the cleansing of a healed leper (Lev 14:5-6; 14:50-52). Another in the passage about a man with an unnatural discharge, “zav” in Hebrew (Lev 14:5). For purification of a person who was in contact with a corpse, living water is also required (Num 19:17). It, furthermore, makes logical sense to use living, unpolluted, water to immerse ourselves in. When we immerse yourselves in water, there is always a change to swallow some water, and standing or polluted water, could be a source of disease. So take care when you select a place, it could be a health hazard if you don’t. Is it wrong to immerse ourselves in ordinary water from the tap? What do you think? Please share your view with us. How are we to immerse ourselves? You have probably witnessed people being baptized; sometimes they are dunked under by one or two people and generally going into the water backwards. Is this the way we should be doing it? There are no specific instructions in Scripture on how immersion should take place. However, whenever we see people coming into the presence of YHVH, they bow down. When we go into a mikvah, it is a spiritual experience, we prayerfully, go into the presence of YHVH. Would it therefor not be appropriate to bow down? Even Moses, who was called the friend of YHVH, bowed down before Him. 8 Moses made haste to bow low toward the earth and worship. 6 Come, let us worship and bow down, Let us kneel before YHVH our Maker. There are numerous other references to show that it is appropriate to bow down when we go into YHVH’s presence. We are therefor to bow ourselves down before Him when we immerse ourselves. Falling backwards is often associated with judgement of those who reject YHVH’s ways. In Isaiah, judgement is prophesied to the people who would not listen; they will stumble backward and be broken. 12 He who said to them, “Here is rest, give rest to the weary,” And, “Here is repose,” but they would not listen. 13 So the word of YHVH to them will be, “Order on order, order on order, Line on line, line on line, A little here, a little there,” That they may go and stumble backward, be broken, snared and taken captive. This one reference may not suffice to convince you that we are not to fall backwards into the water when we immerse ourselves. However, the previously sited references about bowing down when going into YHVH’S presence should be convincing enough on their own. Furthermore, consider this immersion to be a new birth experience. You would not fall back into the water, and you would not have one or two people dunking you under if it were. This immersion would be an act of free will, a deep spiritual experience between you and our Creator. You would submerse yourself completely and come up out of the water; the beginning of a new life. You would be in control, choosing to go down and come up when you are ready. You could have someone there to support you if necessary, but the immersion should be done by you. We want to reiterate that this is not commanded to be done in this way, it is projection based on the cited Scriptures. You may immerse yourself in a different way if you want. How many times are we to immerse ourselves? Once again, we do not find instructions in Scripture as to how many times we are to immerse ourselves. We know Naaman was to immerse himself seven times in the Jordan (2 Kin 5:10). However, this was a specific instruction for healing of his leprosy. We do however, find a clue in the epistle to the Romans with regard to immersion relating to repentance and coming to faith. 3 Or do you not know that all of us who have been baptized into Messiah Y’shua have been baptized into His death? 4 Therefore we have been buried with Him through baptism into death, so that as Messiah was raised from the dead through the glory of the Father, so we too might walk in newness of life. We have learned in the previous article that immersion is likened to being born again. We have also learned that when we immerse ourselves, when becoming a believer, we die to our old life. We immerse ourselves in the death of Y’shua and when we come up out of the water, we are a new creature. Y’shua died once and was resurrected once. When we immerse ourselves in repentance, we are therefor to immerse ourselves once. Immersing in a mikvah for other reasons than coming to faith could be seen as different though. There are many views on this especially in Judaism, some teach one immersion, some two and so on, up to ten times or even more. These are traditions which you can follow if you want, as long as you remember that these are traditions. Just a word of caution, when we give too much credence to immersing a certain way or a particular number of times, we may lose the focus of what we are doing and see the immersion as being more than a symbolic event. If you were to get involved in mystical teachings, for example, you would see the act of immersion as actually doing the cleansing which is not the case. Immersion is symbolic of the cleansing that is done by YHVH. There is a very thin line that should not be crossed especially where mysticism is concerned. The best advice is to stay away from kabbalism and other forms of mysticism. You can read here if you would like to learn more about the dangers of kabbalism. To immerse ourselves is a spiritual experience, for this reason special clothing is, in my opinion, unnecessary. We do, however, have to be modest. Do not let your going into a mikvah be a snare to another person. Some people like to dress in white when they immerse themselves and that is fine as long as you remain modest. Do we have to recite a special blessing? A special blessing is not required when we immerse ourselves, although it would not be wrong. We should however, pray before we enter into the water. In whose name are we to be immersed? When you came to faith you were most probably immersed in the name of the Father, the Son and the Holy Spirit. If you were asked to assist a friend who came to faith and wants to be baptized, how would you do it? Would you do the same? Maybe you want to immerse yourself again since you started following the Torah? We did that, we immersed ourselves again after we started following Torah. We felt that we needed to repent of our lawless ways and start new. This was commanded by Y’shua, however whenever people were immersed in the Apostolic writings, they were immersed in Y’shua’s name only. How is that? What does this mean? To be immersed in the name of Y’shua is to be immersed in His death and resurrection that brought us salvation. His name means YHVH is salvation. So when we are immersed in the name of Y’shua, we are immersed in the salvation of YHVH. When we re-emerge out of the water, we are a new creature in Him. It would therefor not be wrong to be immersed in His name, and as we have stated before, there is no contradiction, because YHVH and Y’shua are one! We shall not go into more detail here; we would like to refer you back to our article “Who is Y’shua,” for better understanding. We have gone into some detail about when we are to immerse ourselves in the previous article. Immersion is a spiritual experience and is done for different reasons, the most important being bringing us closer to YHVH. In Judaism, new converts immerse themselves and Jews, furthermore, immerse before the Sabbath and feast days. Women are also required, according to their halacha, to immerse themselves at the end of their niddah period for purification. None of these immersions are commanded. You may participate in this if you want to, just remember that it is not commanded. Some non-Jewish believers go into the mikvah before the Sabbath and feasts as a symbolic cleansing before these important days. We have learned that we are to immerse ourselves when we come to faith. To be baptized is commanded by Y’shua. Relating to this, we also can immerse for repentance and transition. You will find all the detail in the previous article. We hope to have been able to clarify some of the practicalities of immersion for you in this article after having given you a firm Scriptural foundation with the previous article. Please share with us if we have left anything out, or if you have a different view. We would love to hear from you. 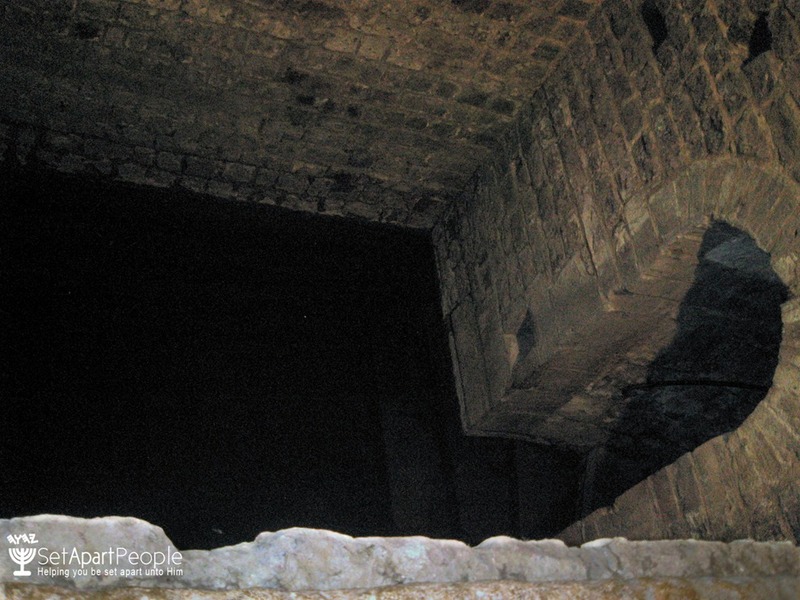 Here are some photo’s we took in Jerusalem of a mikvah from the second Temple period. Just click on the photo’s to enlarge and view or on view slideshow. Take note of how the steps are divided to ensure those who are ritually clean do not come into contact with those who are still to immerse themselves. These cisterns were filled with rainwater which is considered living water, and were used by pilgrims (or anybody) who wanted to immerse themselves before going into the Temple. There are about twenty mikvah’s similar to this one in this one area. This shows us on what scale these immersions could be done. Swanson, J. (1997).Dictionary of Biblical Languages with Semantic Domains : Hebrew (Old Testament). Oak Harbor: Logos Research Systems, Inc.